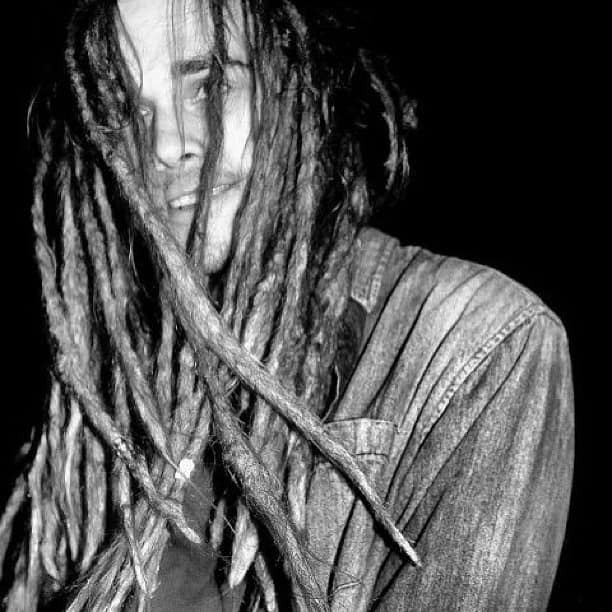 Men are always looking for ideas on how to do dreads as this has become one of their most favorite hairdos. Nobody knows for sure when dreadlocks came into being but just like many other looks they have evolved over the years and have now become one of the most widespread hairstyles for both men and women. Initially, people used to let their hair just grow out without combing or just leave it unkempt and in due time, the strands would form locks. However, nowadays men want to keep them neat and more modern, but this will only be possible if you know how to do them. There are many ways to get them, and men will follow different steps and still have the same results. As different as they may be the steps primarily involve the following important things. The first step in getting locks no matter how thin or thick you want them to be is to grow out your hair. You cannot make dreads with very short hair as they will not only be hard to make but it takes much more effort and time and you will probably also not like the results. To get nice dreads you have to have at least three inches of hair on your head. When growing out the hair try to leave it as natural as possible and avoid using any chemicals or heat tools on the hair as this will make it weak and harder to lock. Another important thing to remember during the growing out phase is that even if you only want to have the locks in one section of the head, for example, the crown, it will be better to grow out your entire head and shave the sides later. Growing out may look complicated but it is the easiest step of them all because all you need is some patience and keeping the hair always clean and healthy. Before you start making your hair, it is crucial to decide the size that you want because it might not be possible to get your natural hair back once you make the locks. The thickness of dreads can be anything between half an inch and one inch, but a few people often have theirs thicker or thinner than this. If you go with thick dreads, then you will have fewer locks on your head, and so they will also be easier to make. Thicker ones also become compact faster than thin ones, but their greatest disadvantages are that there are harder to brush back when you change your mind, and they are also complicated to maneuver when you want to wear different styles. However, it is important to know that the thickness of the locks will also depend on your hair type. For example, men with thinning hair will only look good in thick ones since their hair makes it hard for them to get thin locks even if they want. If you decide to dread yourself, then you should be prepared for a tedious task as it is quite a job. In fact, if you do it alone it would take you the entire day if not longer depending on the volume and length of your hair. The difference between creating the dreadlocks yourself and having a professional do it is the fact that the stylist has more experience than you. Some even have special equipment that will help them get the job done fast. And so if you want to have some neat and uniform dreads soon you should ask a friend or two to come help. You should not worry about the outcome because the locks are very easy to make, and anyone can give perfect ones once they figure out how to do them. Apart from getting a couple of friends to help it is also important to find a place that you will be comfortable to seat for a couple of hours so as to avoid any back pains later on. You should only dread your hair when it is clean and dry contrary to what some people think. It does not have to be sparkling clean, but you should have at least washed it a couple of days before. There is a common belief that dreads should be done on dirty hair as the dirt helps them become compact faster, but this couldn't be further from the truth. Working with dirty and greasy hair not only makes your task more difficult but can also prevent your dreadlocks from forming well, and it will also take longer. To prepare it well you should shampoo it two or more hours before but avoid the conditioner as it will not help you in any way. After washing, you should towel dry or let it air dry. Note that at the preparation stage is also where you should also get rid of any other hairdos that you may have for example braids. Brushing the hair may look like the complete opposite of what you want to achieve, but it is also a vital step in getting the dreads. Even when you go to a professional to have your dreadlocks, the stylist will always brush it before working on it. Brushing will make it easy to separate and also to section your strands, and so you should not skip this step. Although it is advisable not to use hot tools on your hair, sometimes it might be necessary to blow dry the hair to make it straighter and hence even easier to work with. Getting rid of the tangles also ensures that you get neat dreads. Sectioning the hair is one of the trickiest steps in wearing dreadlocks because you have to get the sections right in size and shape as this will determine how the locks will look. For most people one or two inches square sections will create amazing dreadlocks, and so you should also go with these sizes to get the best results. When sectioning the hair, you should start with the underside of your hair and work your way to the front. There are two ways that you can go about this step. The first one is to secure each section with a rubber band after separating it from the rest of the hair and do this until you finish the entire head. You can also create dreads with each section after sectioning so that by the time you finish dividing all the hairs you will also be through with making the dreadlocks. If you want to know how to do dreads then you have to understand what backcombing and twisting is and how to do them. After sectioning the hair into one or two inches boxes, the next step and probably the most important one is creating the dreads. Backcombing is just one of the many ways of creating dreads, but it is the most widely used because the hairs look like dreadlocks on the same day you make them, and they also mature faster than when using other techniques. To backcomb your sectioned hair, you should use a dread comb to comb the sectioned hair backward starting, at least, an inch or closer to the scalp. You should backcomb a few strands at a time and eventually the hair will begin to build up at the roots. Although it is not necessary to twist the hair, it will be helpful if you can roll the strands that you are holding as you continue to backcomb. Continue backcombing while making sure that the hair is as tight as possible and once you reach the end secure the new lock with a rubber band and put another at the root to help it also remain in place at the base. You should repeat the backcombing and twisting process above for all the sections and tie each new dread with two rubber bands before you can wax the hair. Before you get to the waxing, you should ensure that all the sections are tightly in place. Waxing is simpler than backcombing but equally important as it helps in taming rogue strands and aids in the faster maturity of the dreadlocks created. To wax the hair, take a small amount and work it between your fingers to soften it or remove any clumps. You should then apply it to the backcombed sections starting from the roots and working your way to the tips. It is important to use a little at a time to avoid creating a waxy mess on your locks as you can always add some more in case the wax is not enough. Choosing the right wax type is important to get a good hairdo. You should go for good brands and avoid anything with petroleum. Once you have your sectioned hair backcombed and waxed the next step is palm rolling. Since the hair already looks good after the waxing, most people will skip this step especially given the fact that they are exhausted from all the work done so far, but this is not such a wise idea. It does not take a lot of time to palm roll, and so if you want a perfect look, you should take the time to do it or have your friends do it for you. 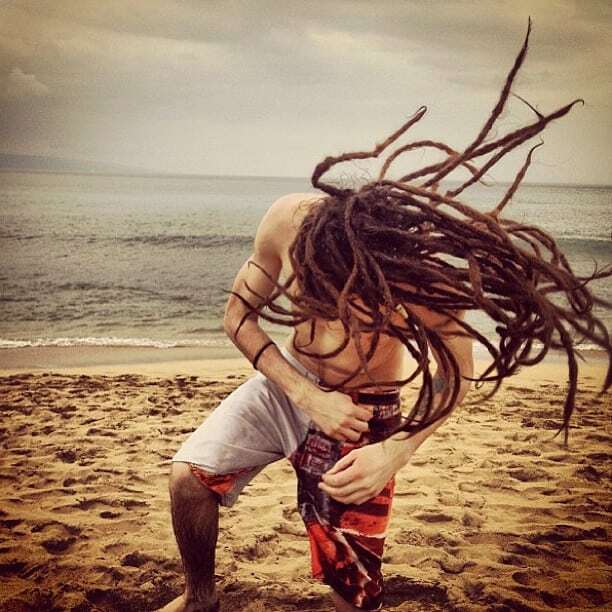 Starting at the roots, you should briskly roll your newly created dreadlocks between your hands to the end. Repeat this for all the locks to give them a beautiful finish. If it is your first time to wear dreadlocks and you have never even done them for a friend, then you will probably not get things right the first time. It is very understandable especially with the first few sections as your hands get used to this or before you master the pattern. And so once you finish palm rolling the hair you should go through all the sections to ensure that everything looks beautiful. The chances are that you will find a couple of portions that are loose even after waxing and although you might be tempted to palm roll as this is easier you should redo it again from the backcombing stage. Provided you were keen enough when working on the hair very few of them will be loose if at all any. And so to ensure that you get the best dreads, backcomb the loose ones then wax them again but make sure they do not become too waxy. Redoing some section will help you create some outstanding dreadlocks. At this phase, you have already done all the important things required to make dreads, but you should also consider doing some styling. Although you might push them to the back and leave them like this as they mature, you will look better by creating a unique style with them. Hairstylists are more experienced with this, and so they can weave them into a fantastic pattern that will make you stand out even though your locks are not yet mature. However, with a little creativity, you can also create a pattern, but it is important to be very gentle on the hairs as you do it to avoid ruining them. Also, avoid any styling that will require you to twist the locks in the opposite direction that you rolled them when backcombing as this will undo them. The styling step is not as important as the others and so if you are not sure that you can pull a nice pattern without ruining your hair you can skip it. With all the waxing done the hair looks very wet at this point, and it may also have some white appearance or any other color depending on the type of wax you have used. And so the last step in creating your dreadlocks is drying the hair with an electric hairdryer. Hair drying will also melt the wax into the hairs and hence helping them harden and mature faster. Some people may decide to go all natural and dry their locks in the sun, but this may take longer than using an electric dryer, and it will only be effective if the sun is scorching hot. To avoid all the hassles use an electric dryer or any other tools that can serve the same purpose without coming into contact with your hair. Now that you know how to do dreadlocks the next and equally important thing that you need to know is how to take care of them. Getting the locks is one thing and caring for them is another that is entirely different. The first thing that you need to do once they mature is to wash them so that they can remain healthy and neat and for this you need to use good soaps and shampoos. The problem with using the regular ones is that they leave a residue on your hair even after you rinse them with a lot of water. Residues cause some itchiness, and it makes it hard for thick locks to dry thoroughly. To care for your dreads, you should use natural shampoos and soaps that leave no residues to wash them. There are different brands available on the market that are manufactured specifically for dreadlocks. It is not advisable to condition the hair before making the dreads as it becomes too soft to twist. But once you have the locks a conditioner is one of the most important things that you will need to keep them in good shape. The dreads need enough moisture to remain healthy and so does you scalp. Conditioning also helps to prevent things like itchiness and dandruff. The conditioning process should be very easy if you have the right products. Some conditioners on the market are specially manufactured for dreads, but if you cannot find one or you find it more expensive, you can use a regular conditioner. However, the best conditioner is one that is made from all natural ingredients as it will have more benefits for your hairs. And just like for any other hair a leave-in conditioner is the best as it works better than the other type. When applying the conditioner, you should gently massage the scalp as this will help improve blood circulation. Apart from this, massaging the scalp will also stimulate the production of natural oils that help keep your dreads soft and moist. If you are having trouble locking your hair or if they are too soft, you should avoid conditioning the roots as this will add to the problem and instead apply the conditioner to the rest of the hair. The locking process is continuous because your hair will never stop growing. As your hair grows, you need to use some wax on it after washing it and then palm roll the locks again so that the new hairs are locked in. However, when retouching mature dreadlocks, you will need to concentrate more on the roots because this is where the growth is but it is still also important to work on the other parts of the hair so as to tame any hairs that may be going rogue. As important as the twisting may be, it is also vital not to overdo it as this will cause more harm than good. Retouched dreadlocks look fantastic as they are neat and healthy and so many men may be tempted to do it as often as possible, but the twisting makes your hairs weak and hence more prone to breakage. Men with weak ones should avoid too much twisting as this will result in the loss of many locks. If you want to keep your hair in good condition, you should also invest in a silk scarf or any other made from a soft material. Use the scarf to wrap up your hair when sleeping to prevent tangles and breakages. Other important things that you need to do to maintain your locks is to wear a swim cap when swimming and also shower cap for showering. You should make sure that you air dry (or blow-dry) your hair every time you get it wet. Once you know how to do dreads and to keep them in good condition then you can wear this incredible hairdo in so many ways. There are many styling options available for dreadlocks, and so this is an excellent choice for your hair, and it will help you stay trendy. However, the most important thing with this hairstyle is to keep the locks neat and healthy at all times.